Because of the difficult nature of finding scooter plans on the internet, I have also added some minibike plans to this page. 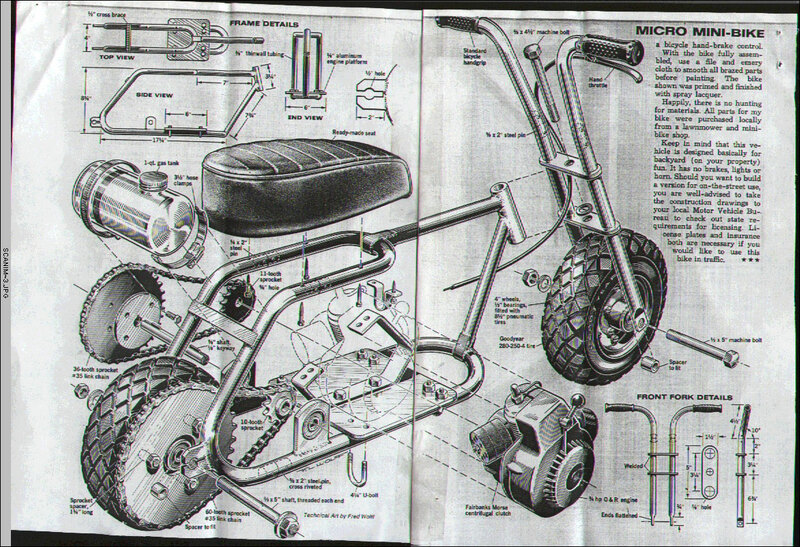 A minibike is basically a scooter, but instead of having a deck to stand on, and the motor above the wheel, the motor sits on the deck, and some extra framing makes a seat over the rear wheel and deck. With a little thought, it wouldnt take much to relocate the motor and drive train so that it becomes a scooter instead of a minibike. If anyone would like to contribute to this page, please feel free to email me with your plans. 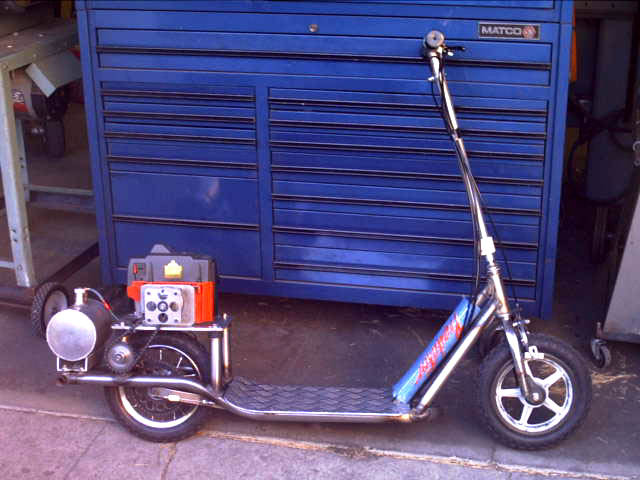 This scooter, as you can see in the picture, is really well built, and can be seen, with full specs, in the home-made section. Plans include entire measurements of frame, and all moving parts. You just need to work out the engine mount for your specific engine. The plans were designed by Growlbear, so all credit to him. Images are in BMP format for clarity. 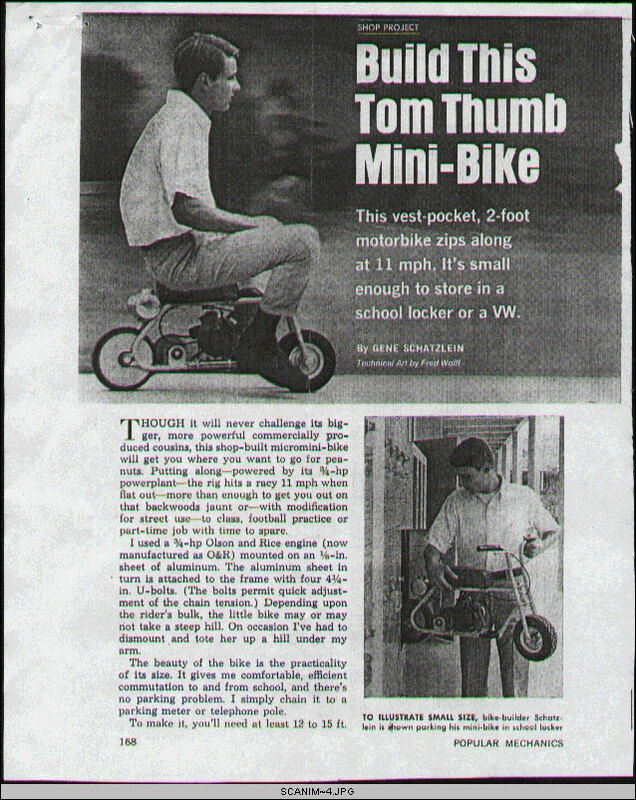 Tom-Thumb Minibike Plans, Submitted by ??? 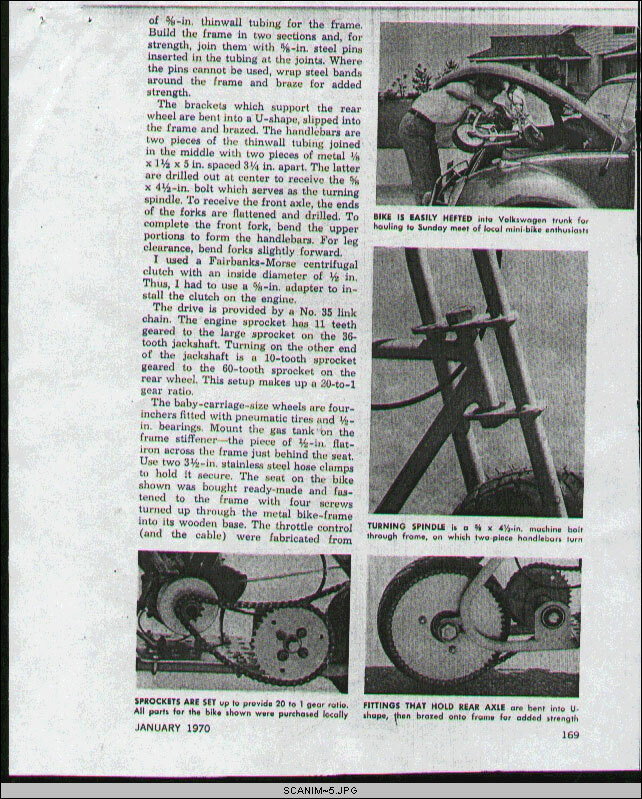 Scanned out of an old Popular Mechanics Magazine, these plans for a tom-thumb minibike are not as clear to read as the plans from growlbear. However, they should be more than enough for people to get some ideas on how to go about making a scooter or a minibike. Images are in JPG format, as submitted. Hold shift then click to download.